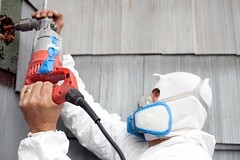 Home Energy Magazine :: What Is a Home Performance Contractor? Janet Monroe could feel the winter winds whipping through her house. Carla Bonds had moisture beading up on her windows every morning and two children who had been diagnosed with asthma. Bill Spencer bought an 80-year-old home that was loaded with charm, but not with insulation; the heating system was almost as leaky as the walls were; and the expense to operate this home in its present condition made Bill wonder if it was really a good investment. A home should be comfortable, safe, durable, healthy to breathe in, and energy efficient. If a home meets all these standards, then it performs well. But what if your house resembles the Monroes’ or the Bondses’ home and it doesn't perform well? What if it is drafty, moldy, expensive to heat and cool, or just uncomfortable too much of the time? You need to find a home performance contractor. A home performance contractor has undergone specialized training so that he or she can diagnose a home's problems and find ways to fix them. 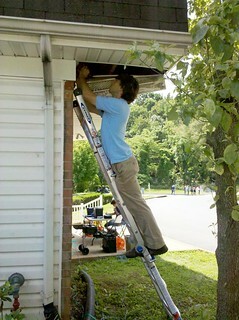 During a Home Performance with Energy Star energy assessment, Local Energy Alliance Program's participating contractor James Sullenberger looks into a two-story townhouse overhang for blocking and insulation. Many contractors in the building trades are experienced and knowledgeable about their profession, but they don’t always understand the bigger picture. A house is a complex, interactive system, much like the human body. Replace leaky windows with tight-fitting ones or seal up all the gaps in a home, and the airflow patterns inside that home will change—sometimes enough to create health problems. Just as a general practitioner or an internist is more qualified than a knee surgeon to diagnose a persistent cough, so you need a home performance contractor who understands the whole house as a system of interconnected parts to diagnose problems in your home. The profession of home performance contracting developed in response to scientific research on the way homes and buildings actually function. Traditionally, builders and contractors built and repaired homes based on knowledge handed down through the trades. Their fixes were usually based not on an understanding of how homes really function, but on what was traditionally done. Sometimes these fixes worked; often they didn't. In contrast, home performance contractors—a small but growing group of well-trained professionals—rely on specialized training and diagnostic tests conducted in a home to understand how to best fix that home's problems. Home Energy magazine provides solutions for the home in the form of published articles directed at home performance contractors. Our nonprofit bimonthly publication features authors reporting from scientific labs, from classrooms, and from the home performance field on best practices, lessons learned, and—most importantly—on measured results from actual homes. The information we provide serves as a learning tool for home performance contractors. As the home performance industry grows, contractors also grow, evolving with the latest industry tools and energy-efficient technologies. 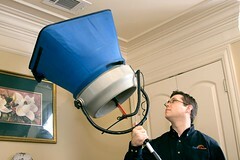 Home Energy magazine has been serving the home performance contractor industry for nearly 30 years. Our plans for the future are the same as they’ve been since 1984—to produce practical, well-written articles that help home performance contractors to fix homes.